Ein Programm zum erstellen von Stockfiles. With this Program can you creat Stockfiles. 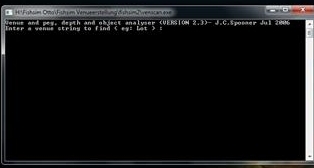 Venscan ist ein leistungsfähiges Utility-Programm für das Scannen von dem erstellten Venue. Es wird Tiefe, Objekte und Fischbestände analysiert um festzustellen ob die Beschaffenheit des Venues stimmt oder Fehler vorliegen. So kann man die Möglichkeit potenzielle Probleme zu verbessern. Venscan is a powerful utility program for scanning created venues. It will analyse depth, objects and fish stocks in any specified venue and provide pointers to how those venues can be improved or where potential problems with them may lie. Mit dem Peg all Generator soll man ganz leicht die .all Dateien erstellen können. 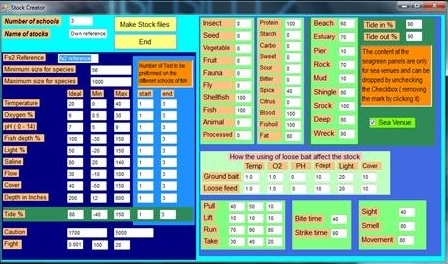 This program will generator a .all file for the fish in a peg, It is very easy to use and a lot farster then typing the file out by hand. Das Programm Dram Converter 2 ist ein sehr hilfreiches Programm um zb. die grösse ( LB ) des Fisches was man einsetzen will in Drams ( dr ) schnell umzurechnen. The program Dram Converter 2 is a very useful program for example. the size (LB) of the fish to use what you want in drams (dr) easily convert. Das Programm wird benötigt um aus deinem erstelltes Venue in ein jr2. File zu machen und zu scrampeln. Eine bebilderte Beschreibung findest Du hier. You need this Program to makes your created Venues in a jr2. File. A Tutorial find you here.